Road rage is becoming increasingly common on roads throughout the United States. For younger and less experienced drivers, dealing with another driver’s road rage can be exceptionally challenging. It’s important to learn how to navigate around aggressive drivers and how to remain calm when others are losing their cool on the road. 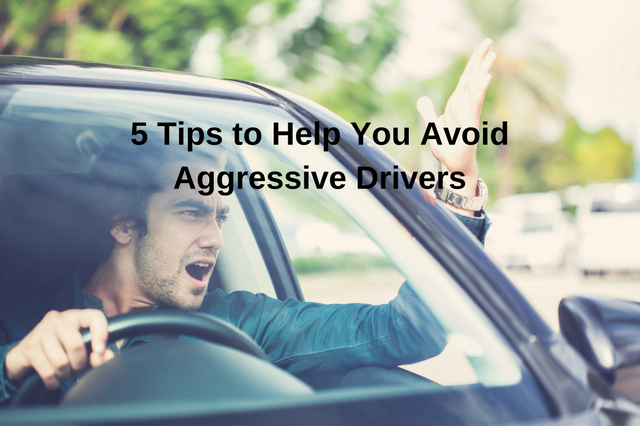 Our Littleton driving school is happy to share five tips to safely maneuver around aggressive drivers. While it might seem justified and necessary to honk the horn at a driver that has aggressively cut you off on the road, honking at the driver will only inflame tensions even more. Try to remain patient and avoid making noise with your horn as you travel. It’s important to remember when it is appropriate to use your horn so you can avoid triggering an aggressive driver to overreact. There’s little you can do to help protect other drivers from an aggressive driver in another vehicle. Thus, it’s important you take measures to protect yourself. This means making sure your doors and windows are locked in case the aggressive driver is looking for a confrontation, and leaving enough room from the car in front of you so that you can pull out and change directions if required. Sometimes an aggressive driver will try to get as close as possible to other vehicles to intimidate other drivers. As much as possible, you should try to avoid making eye contact with the aggressive driver, as this could lead them to believe you’re looking for a confrontation as well. Make sure that you’re focused solely on the road in front of you to avoid conflict with the overly-aggressive driver. Aggressive drivers will look for a response from you to initiate a conflict; it’s important you don’t give them the opportunity. The best possible reaction that you can give them is to remain courteous. Give them as much room as possible by allowing other drivers into your lane and leaving at least two car lengths ahead of you on the highway. This will keep you completely innocent of any possible driving infractions. To help relieve some of the stress of dealing with an aggressive driver, you should speak with one of your friends or family members about the driving incident. This will help you gain a new perspective and a greater understanding of the situation. Additionally, it will ensure you’re able to respond calmly to future issues on the road. To learn more about how to deal with aggressive drivers, speak with our trusted Littleton driving school team today! We offer a number of great course options to help new drivers improve their skills and confidence behind the wheel.